The Academy, the first of its kind in the area to be sponsored by a University, is an innovative and exciting new centre for learning, which will offer a stimulating and innovative educational experience to young people in South London. Initially, it intends to open in September 2014, with 150 Year 7 places, and a 25-place Special Educational Needs unit, for both boys and girls. Located on Trafalgar Street in the Walworth area of Camberwell, it will help to increase parental choice between schools in the area, and crucially, will specialise in providing a science, technology, engineering and maths (STEM) focussed curriculum, in response to industry demand for modern engineering skills. As part of its long-standing commitment to serving the local community, LSBU's sponsorship of the Academy will provide strong leadership, a wealth of expertise and knowledge, access to specialist facilities and materials, diverse and substantial educational resources to innovate and invigorate the curriculum, and support the Academy in becoming a distinctive and outstanding place of learning. Students will be supported to become independent learners, with high individual aspirations and first class employability skills. Prospective students and their parents are invited to attend an open evening for the Academy, which will take place at LSBU's London Road building between 5.30pm and 8pm on Thursday 26 September. Here, they will be able to sample all the delights that a STEM curriculum has to offer- including experiments like controlled explosions as well as find out more about the school itself. Jane Rowlands, Principal of the University Engineering Academy South Bank, says: "I'm very excited to start working with the Academy we hope to bring creativity to the heart of all learning there, and I can't wait to inspire a generation of polymaths!" 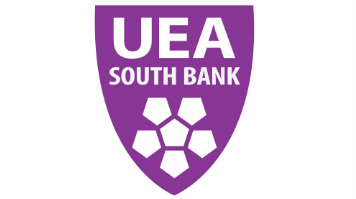 Find out more about University Engineering Academy South Bank.